By the time the 80's rolled around Michael Douglas, the son of movie legend Kirk Douglas, had already been very successful in Hollywood. He had already won an Oscar in the 70's for producing One Flew Over the Cuckoo's Nest. Also, he had starred in the critically acclaimed 1979 movie The China Syndrome. 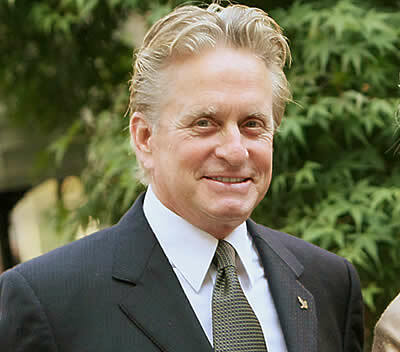 In the 80's Douglas gained super stardom with blockbuster after blockbuster, including a Best Actor Oscar for playing Wall Street tycoon Gordon Gecko in the 1987 movie Wall Street. Douglas has had a long and successful career in Hollywood and he is still at it to this day. I have no doubt Douglas has at least one more award worthy performance in him.